FUEL EFFICIENT 25 MPG Hwy/17 MPG City! 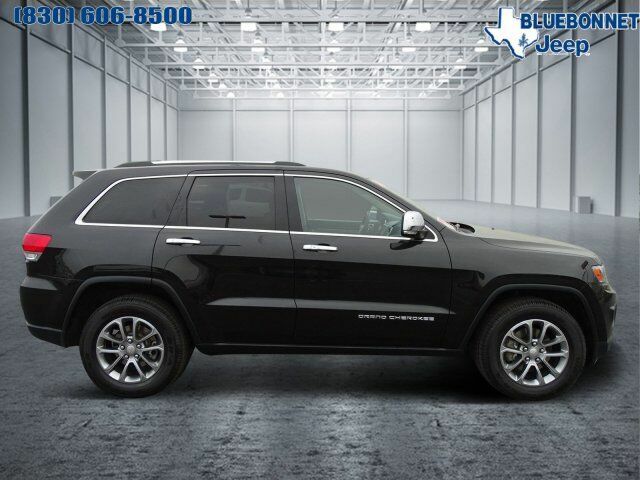 Nav System, Heated Leather Seats, Heated Rear Seat, Back-Up Camera, Dual Zone A/C, Remote Engine Start, iPod/MP3 Input, ENGINE: 3.6L V6 24V VVT FLEX FUEL, QUICK ORDER PACKAGE 23H CLICK ME! Leather Seats, Power Liftgate, Heated Driver Seat, Heated Rear Seat, Back-Up Camera, iPod/MP3 Input, Aluminum Wheels, Remote Engine Start, Dual Zone A/C, Heated Seats, Heated Leather Seats Rear Spoiler, Keyless Entry, Privacy Glass, Remote Trunk Release, Steering Wheel Controls. Edmunds.com explains "Off-road, the Jeep Grand Cherokee is at the top of the mountain for its class. Trail obstacles and steep hills are easily dealt with regardless of which engine you choose. thanks to the advanced four-wheel-drive systems and the Jeep's generous ground clearance.". Great Gas Mileage: 25 MPG Hwy.